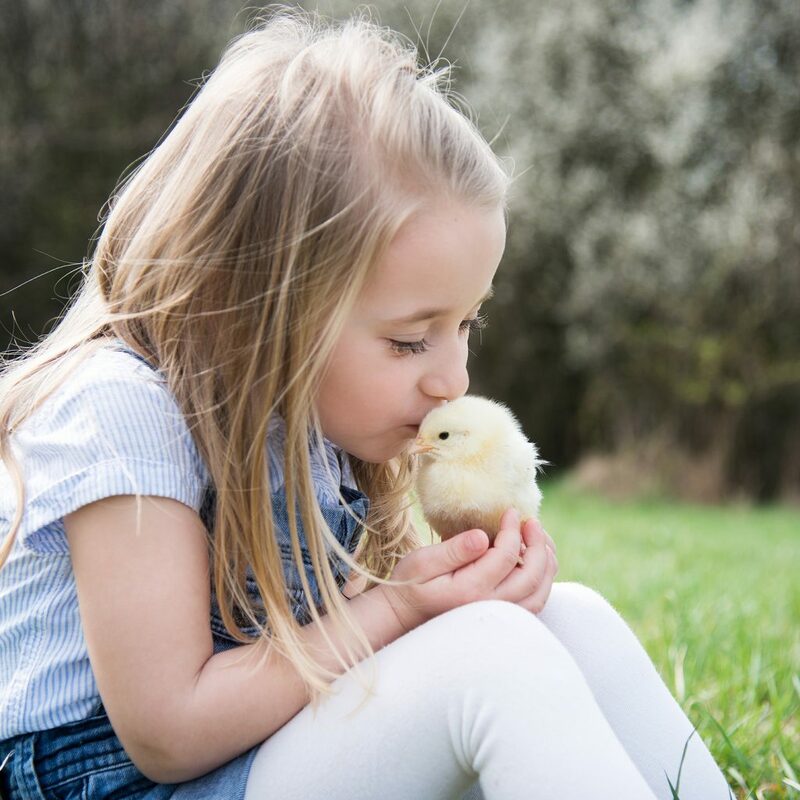 According to the Centers for Disease Control, a salmonella outbreak that occurred over the summer may have been caused by contact with chickens, ducks and other live poultry. 252 people in 43 states were sickened. Out of these, 39 people reported snuggling with baby poultry and 4 reported kissing baby chickens. The CDC recommends washing your hands after handling your birds and “do not let live poultry inside the house, in bathrooms, or especially in areas where food or drink is prepared”. I was browsing YouTube and found an awesome video I’d like to share with y’all. Hope this is helpful to my friends here! I’m not a doctor or a vet. I know, big surprise! With that obvious statement made, I need to advise you all to speak more with your vet if you suspect a serious problem. Sure things like garlic, oregano, cayenne, yogurt, and vinegar are going to help keep your chickens healthy and can reduce the severity of many common illnesses. But how can you tell the difference between a common illness and a serious disease? Even experienced chicken farmers can’t do that sometimes so getting a vet you trust will help out enormously in the long run. Remember, if they recommend a course of treatment it doesn’t mean that you have to follow that exact protocol if you feel another way is right. But you do need to get a good idea of what you’re working with first. If it’s something serious you may be legally required to destroy your flock to protect the people and animals nearby. Or if your vet starts prescribing a bunch of antibiotics for your chicken’s cold, well . . . you can probably treat that as you see fit. It all has to do with using common sense (which they say isn’t common, incidentally). Sometimes you have to bite the bullet and accept a treatment which would otherwise be something you wouldn’t use. Perhaps if I describe to you the term ‘allopathic medicine’ then you will better understand what I mean. Allopathic medicine is the type of medicine most commonly practiced in Western countries for humans and animals. It was originally meant only for emergencies, then it became used for all situations. Think about it like this: if I break my leg I’m definitely going to the ER and I’m going to be thankful for the allopathic medicine the doctors use there such as x-rays and pain meds. However if I have a cold I’m not going to call in the AMA’s S.W.A.T team. I’m going to treat it myself instead of proverbially dropping napalm to kill a squirrel in the forest. Lastly, before I get to the meat of this article, I’d like to ask you to not believe everything you read on the internet or even in books when it comes to herbs and natural healing. When my wife took a course on herbalism she was told to cross check everything among at least 3 separate sources but preferably more. A lot of forums will have information that is very helpful but is usually incomplete and written by folks that are hardly experts. On the internet, knowledge gets passed around like kids playing Telephone. D Mannose might be great for people with UTI’s, for example, and it prevents bacteria from sticking to the urethra which eliminates them and usually cures the UTI. But if you rush right out to treat yourself with it and happen to have diabetes then you might wind up in the hospital since it also raises blood sugar levels. See what I mean? Do your homework. I know too many people who just accept something they read on Dr. Google ( or hear from Dr. Oz or Dr. Phil) as fact without further research. Your chickens (and you) deserve better. This is actually a viral disease that attacks chickens all over the world. Although sometimes turkeys and quail can fall victim to this, it rarely spreads to other fowl. In recent years there have been some pretty nasty strains of Marek’s popping up in North America and Europe. It can also be hard to get rid of and even industrial disinfectants can’t destroy it all the time. Look out for birds that seem to appear like they’ve had a stroke. By this I mean that they look like parts of their body are paralyzed, especially in their legs or wings. Sometimes you’ll see their necks go floppy like they can’t hold them up. Their eyes may look funny as if the pupils are different sizes or a different shape. Usually they go blind if their eyes are affected. Many times you’ll have a few birds who show symptoms and many asymptomatic birds so be warned that your flock may be affected more than what is immediately apparent. There is no cure for Marek’s and it’s often fatal. Things that can help prevent this is good hygiene for your flock. If your flock does develop Marek’s then you need to probably build a new coop and move all surviving hens. Any new hens you introduce need to have been vaccinated against Marek’s disease, even if they are chicks born of mothers who carry the disease since it doesn’t pass on from mother to chick. Do not put your hens back in the old area for 3-5 years if ever since Marek’s is known to be able to survive in open conditions for years. If you suspect Marek’s, call your vet right away so you can have someone walk you through the complicated steps of dealing with this nasty virus. This is a bacteria called Haemophilus paragallinarum and is relatively common but rarely fatal among fowl. It’s easy to kill once outside the host and usually dissipates within a few days. A good scrubbing inside the coop will usually get rid of it easily. Garlic is a good preventative for any bacterial infections, such as coryza, as well as properly caring for your flock by cleaning their environment regularly and preventing cold, damp conditions from existing. If you choose to cull the entire flock then this is probably also a prudent option, even if it is a sad one. Make sure to scrub and disinfect everything the chickens have used and leave it to dry for a week or two before introducing a new flock. Also called Fowlpox, this is a virus that can spread easily amongst fowl through bits of dead skin from the chickens rubbing up against each other and from mosquitoes. It spreads and develops very slowly, over several weeks. You’ll probably first notice that your chickens seem depressed with a lack of appetite and their egg production will probably start to drop. Then you will see little nobby wart-type nodules start to form on the combs, legs, and skin of the face. Although the actual pox aren’t dangerous and morbidity for it is fairly low, it often leads to secondary infections which do cause serious complications. Since this is a virus then obviously no antibiotic will cure it. Elderberry and astragalus given as a tonic daily in your chicken’s water will help prevent viral infections of all kinds, but stop giving it at the first sign of an actual virus since it will strengthen the virus as well as the chicken’s immune system. If you live in an area with a lot of mosquitoes you might consider getting your flock vaccinated for this disease. Raising backyard chickens is a fun and rewarding pastime. Not only are chickens amusing to watch, but they are natural fertilizers for your garden and lawn and offer fresh, organic eggs. Yet raising chickens can also come at a price. Lack of knowledge and consistent care can lead to destroyed yards, foul smells, and sick or dead birds. Can you tell the difference between a healthy chicken and a sick one? Sometimes it’s not as obvious as one would think. Sometimes, the first clue that something is wrong is a dead chicken. Yet there are some signs you can keep a lookout for. Sick chickens may have drooping wings or tail or paralysis of one or both of their legs or wings. Blood in droppings, loss of appetite, discharge from nostrils and eyes, labored breathing, or breathing with their beaks open (unless it is particularly hot) are all trouble signs. A healthy chicken should be active and alert. Its eyes and nostrils should be clean and it should hold its head high. Its droppings should be white, its breathing should be unnoticeable and silent, its legs should be clean, and its feathers should be smooth. Your chicken’s comb should not be black or dark blue. The birds should eat frequently and be social with the other chickens. If you observe your flock regularly, it should be fairly easy to pick up the signals that something is wrong. What causes disease or sickness among a flock of chickens? According to Roy Butler of the Government of Western Australia Department of Agriculture and Food, inadequate shelter, feed, and water as well as too much stress are common reasons for ill chickens (http://www.agric.wa.gov.au/objtwr/imported_ assets/content/aap/gn_diseases_of_backyard_chickens.pdf). Infectious diseases can also be caught, just as humans catch and transmit diseases. Even mosquitoes can carry diseases harmful to chickens. Birds can be infected with a variety of different parasites. Chickens can be infested by poultry lice, which cause irritation and stress and often cause a bird to stop laying eggs. Fleas are another common problem. Mites, ticks, and worms also can take a toll on your flock. There are plenty of diseases and infections chickens can get too, including fowl pox (from mosquitoes) and bronchitis. Diseases and bloodsuckers aren’t the only problems you may face with your backyard flock. Rodents are frequently attracted to leftover chicken feed. No one wants a rat or mouse infestation. Not only are they disgusting, but they carry diseases and can eat young chickens. Remove debris piles and keep your chicken feed in well-sealed containers. Take care to provide secure fencing as well to keep out predators. From birds to cats, dogs, weasels, or coyotes, there are dozens of neighborhood creatures who would love to make a meal out of your chickens. What’s the best thing you can do to keep your chickens healthy and safe? Check your flock frequently for signs of trouble. Feed your birds plenty of high quality feed and remove feed from the container that has molded. Provide a consistent supply of clean water and clean out your coop several times a month. Check your birds for fleas, ticks, and mites and don’t be afraid to ask your local veterinarian questions if you suspect trouble or if you want advice in making your chicken’s living area healthier. Regularly check your chicken coop and run to make sure they are secure enough to keep out predators. Diligence is a necessary trait in a backyard farmer. No one, after all, knows your chickens better than you.